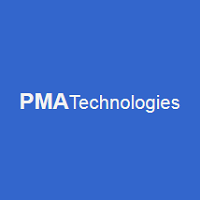 PMA Technologies is a subsidiary of PMA Consultants. The software development company was founded in 2004 by Dr. Gui Ponce de Leon. PMA Consultants, recognizing the need for a collaborative, interactive project management tool, designed and built one, forming the subsidiary PMA Technologies to continue developing and promoting the tool. Between them, PMA Technologies staff members have a collective 40 years of experience in the field. The company is headed by project managers, software designers, and software developers. PMA Technologies now offers three software solutions: NetPoint, GPM and NetRisk. Their in-demand solutions have been utilized to manage projects as complex as the Renaissance Boston Waterfront Hotel. At the forefront of project management innovation, PMA Technologies holds an annual NetPoint and GPM conference. NetPoint is project management software that offers many modules and features designed to assist business owners in the processes of scheduling, document organization and sharing, project planning, schedule maintenance, file sharing, import and export, and product support. 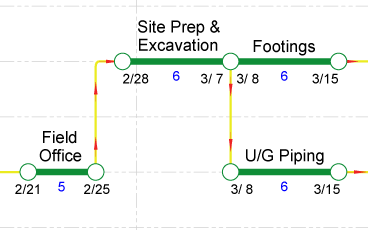 The modules allow users to build customized schedules to the standards and formats they desire. They also let users organize activities for entire teams, upload multiple calendars, and set custom activity codes. NetPoint is available by yearly subscription or by number of users. The software is compatible with both Mac and PC computers, as well as with tablets and handheld devices. The NetPoint Cloud is a browser-based version, which does not require installation. The company offers a 30-day free trial of NetPoint Premier, and a demo of NetRisk is also available by request. Learn everything you need to know about NetPoint. Our experts will reach out to you shortly.